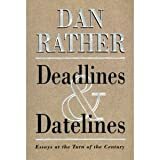 Order ‘Deadlines and Datelines’ by Dan Rather, available from Amazon.com by clicking on the book cover above! Ten years later, what Dan Rather still remembers with vivid clarity is how it all began: spotting a wisp of smoke wafting from the upper floors of the World Trade Center while getting ready for work. Soon after, Rather was dressed and climbing the stairs of the anchor desk at the center of CBS’s newsroom on Sept. 11, 2001, about to start a 14-hour marathon of reporting that opened five days of continuous coverage. His mission: tell people what you know, what you don’t know and that what you think you know at first usually isn’t the whole story. He only had a vague sense of it then, but Rather knew the country’s world had suddenly, violently changed. And the media were along for the ride. 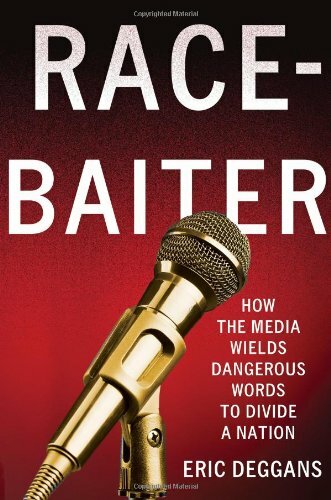 Order ‘Race-Baiter: How the Media Wields Dangerous Words to Divide a Nation’ by Eric Deggans, available from Amazon.com by clicking on the book cover above! You can LISTEN to Eric Deggans’ interview with former CBS Evening News anchorman DAN RATHER by clicking the audio player above! It was a singular moment in American journalism; covering what felt like the first made-for-TV terrorist attack, in which planes crashed into the World Trade Center and Pentagon as network and cable TV morning news covered events in real time. But 10 years later, what surprises most is how little lasting structural change 9/11 may have brought to modern media, which these days seems more transformed by expanding technology and collapsing economic models. Click HERE to read more of this story at Eric Deggans’ blog, The Feed! Possibly the most critical guy at the St. Petersburg Times, Eric Deggans has served as music, media and TV critic at various times over 10 years. Read more of his work at TampaBay.com! UPDATE: Eric joined National Public Radio (NPR) as its first media critic in 2013. Follow him for his latest work HERE!